Forres taxi operator David Macpherson is helping to bring Scotland’s Caledonian Forest back from the brink by supporting Findhorn-based conservation charity Trees for Life. 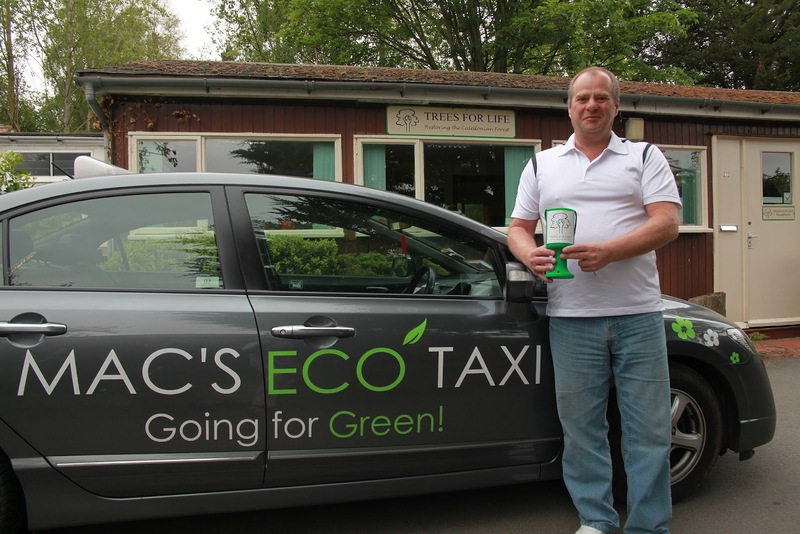 David’s firm, Mac’s Eco Taxi, donates 20 pence to the award-winning charity for every journey that picks up or drops off at the Findhorn Ecovillage in Findhorn Bay, Moray. £150, which David presented to Trees for Life recently. The green-minded taxi operator also has plans to fund a grove of trees through the charity. David, who has run a taxi business for five years, decided to give his business a green boost in late 2010 by investing in a state of the art hybrid Honda Civic, which runs on electricity as well as petrol. The car is able to recharge itself whilst being driven so has no need to be plugged in. Alongside purchasing the first such car to be operated by a taxi firm in the area, David also decided to make a difference to the environment by supporting Trees for Life’s forest restoration work. People can support Trees for Life’s restoration of the Caledonian Forest by funding dedicated trees and groves, while the charity’s Conservation Holiday Weeks allow people to gain practical conservation experience in beautiful locations. For more information, see www.treesforlife.org.uk or call 0845 458 3505. 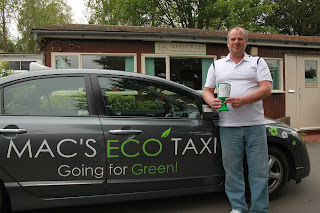 For more details on Mac’s Eco Taxi, see www.macsecotaxi.co.uk or call 07936 311924. Trees for Life aims to restore the Caledonian Forest to an area of over 2,500 square kilometres in the Scottish Highlands west of Inverness and Loch Ness. Since planting its first trees in 1991 in Glen Affric, Trees for Life has planted over one million trees. Its awards include 1991 UK Conservation Project of the Year, the Millennium Marque in 2000 and Top 10 Conservation Holidays worldwide in 2009.